Chemistry re-imagines the world we live in at the atomic level. Ever since early humans began to extract metals from rocks we have been striving to understand the properties of the things that make up the world around us, and attempting to create new, more advanced and exciting substances. 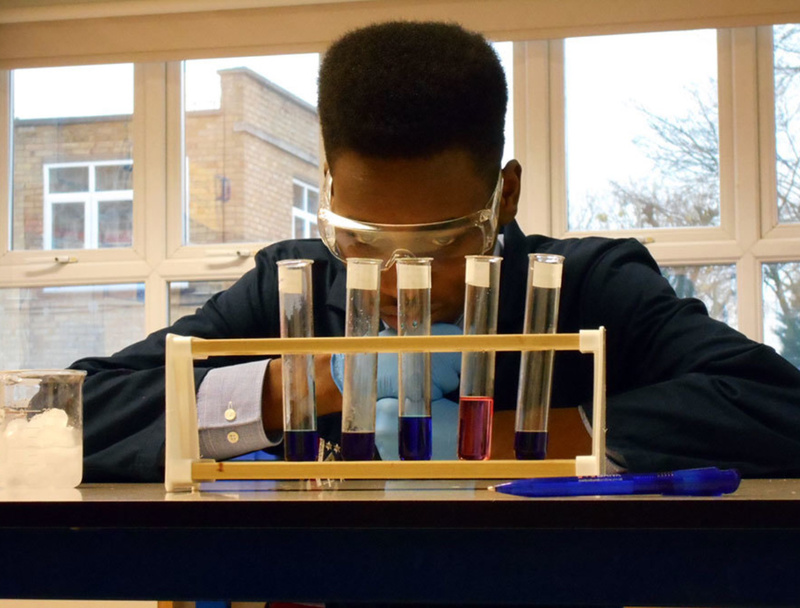 At A level, students study the AQA Chemistry specification, which covers topics ranging from the chemistry that occurs inside your phone battery, to that of DNA and anti-cancer drugs. The course consists of three disciplines which are taught throughout the two years: Physical Chemistry, Inorganic Chemistry and Organic Chemistry. Chemistry is a challenging and rewarding subject that develops scientific skills and knowledge. Students will be given the tools to learn about the more abstract nature of the world around them. The analytical and problem solving skills acquired through studying chemistry are essential in both scientific and non-scientific university courses. The subject is best studied alongside at least one other science and/or maths. Possible career pathways for chemists include medicine, pharmaceutical research, materials science, veterinary sciences, forensics, patent law, scientific journalism, and teaching, among many others. Chemistry in Action, London. Students enjoy a day of exciting chemistry, with guest speakers discussing matters from a wide range of chemical disciplines. Previous talks have included the chemistry of chocolate, the dangerous world of cosmetics, poisons, energy materials, and the chemistry of scent. An examination session also gives students the tools required to best take on questions in their forthcoming exams.